This is the easiest way to ‘peel’ an egg without actually peeling it. 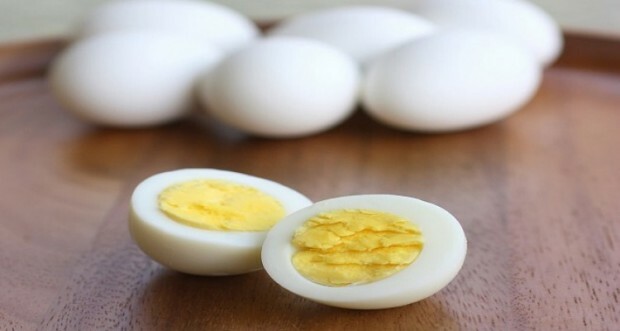 Boiled eggs are an excellent source of protein, but peeling them sometimes takes longer than usual, and the egg white often sticks to the eggshell. You can use three simple ways to peel an egg. You can add some baking soda to the boiling water in order to reach the proper pH value. You cal also cool the eggs using some ice and cold water. Finally, you can apply the method Tim Ferriss used in the following video. Knock the egg on a hard surface and make sure it cracks on both sides. Blow through one end of the shell, and the egg will come out through the the other end.